On January 1st I’m amping up my healthy-eating game. I’m doing the Whole 30 for the first time ever! 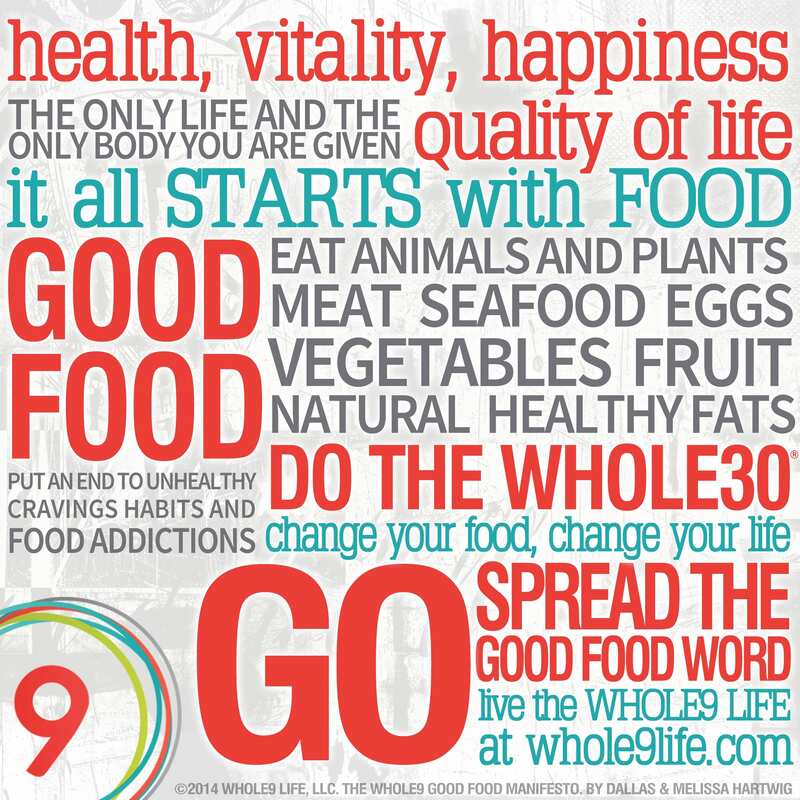 Whole 30 is a whole foods, clean eating concept developed in 2009 by Dallas and Melissa Hartwig. Foods such as grains, dairy, vegetable oils, added sugars, legumes, alcohol, and other additives could be wreaking havoc on your body. 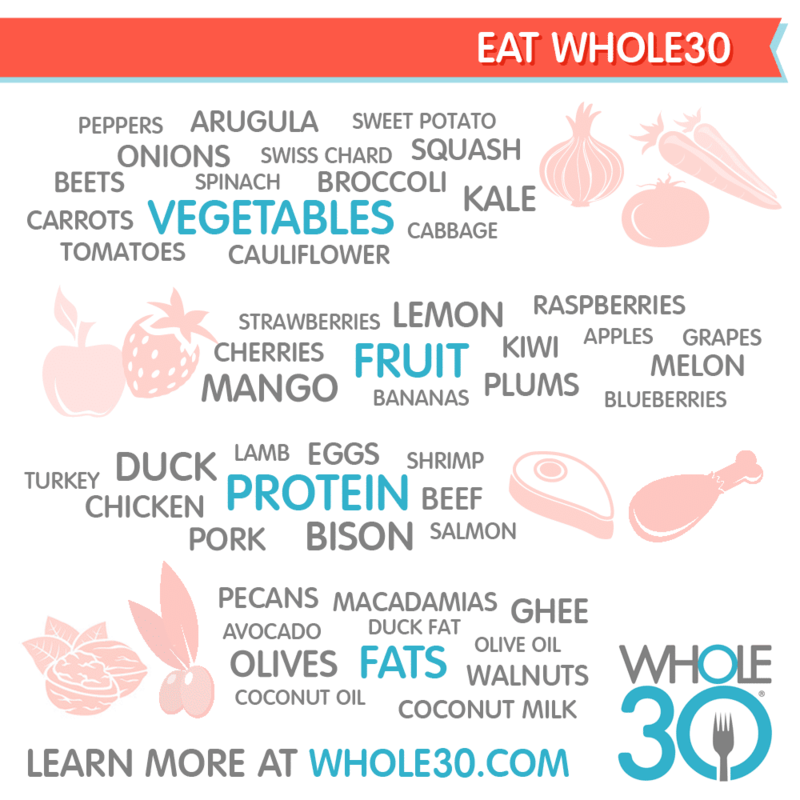 The Whole 30 program is a 30 day program that strips these foods from the diet and promotes eating nutrient dense whole foods to achieve optimal health. I want to eat healthier foods ALL of the time. I’ve been eating healthy on and off for a while; however, the “off” periods are happening more often. Beer and I have become incredibly close friends. Also, it’s difficult to choose healthier options while dining out (I love french fries). And we dine out a couple times per week. I want to alleviate inflammation. I have suffered from Eczema since 2009 and have monthly flareups on my abdomen, arms and legs. My hands suffer from chronic flareups. I suffer from acne and want to see if Whole 30 eating clears it up. I want to alleviate gastrointestinal issues. Multiple doctors said I have IBS (Irritable Bowel Disease) after learning of my frequent lower abdominal pain (often highly painful) that occurs 1-2 hours after eating. (The issues have declined after eating fewer processed foods during the past 2 years). I’m curious to see if eliminating inflammatory foods from my diet will alleviate attention issues, anxiety, PMS and hormonal imbalance. Maybe I will lose the 15 pounds I’ve put on during the past 5 years. I’m excited and nervous at the same time. Despite being the “gal who cooks”, I love to go out to eat. In recent years I’ve ditched the side salad and opted for my #1 weakness, French fries. It’s going to be a challenge to not go out to eat and to not eat French fries. Also, I love craft beer. Did I say that I LOVE LOVE LOVE craft beer? I used to enjoy a cold one on the weekends but recently I’ve been enjoying one (or two) most nights. Ken and I love visiting breweries, sharing beers and discussing good beers. I haven’t gone more than a few days without a beer in 3-4 years. My biggest challenge with the Whole 30 is going to be not drinking beer for 30 days. The food, the food will be a breeze. The beer; the beer is going to be extremely difficult to give up. I’m going to share weekly updates with you. I’ll share what I ate, challenges and what I did to overcome the challenges. 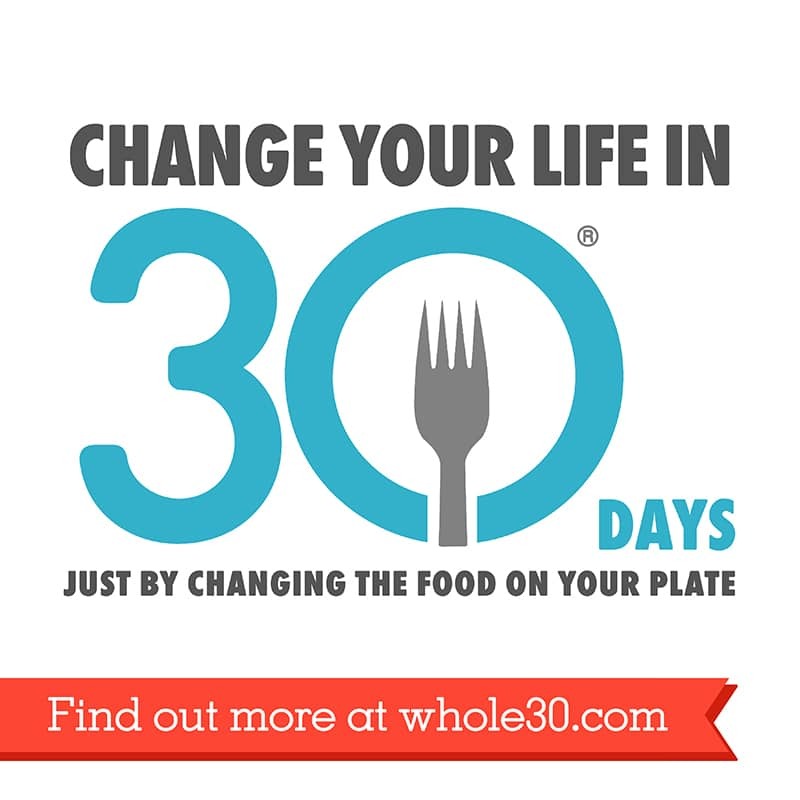 In addition, I will share Whole 30 recipes with you. I’m excited to see how I feel after completing the Whole 30! « Previous PostMerry Christmas! + McFluff Christmas Pics! I did my first whole 30 in October. I wouldn’t say it was all that hard for me, as I’ve been living a dairy free, gluten free, no booze/beer lifestyle for almost 5 years. I’ve suffered since 2008 with autoimmune issues and gastro problems that I just wanted to finally take the plunge and give up the occasional gluten free treats, pancakes/waffles, chips, the amazing French fries (which I thought I would struggle with!) At the end of the my 30 days I loved everything about how I felt and how I looked. My skin was amazing, I was more awake and bubbly, my gastro issues died down a bit. I kept it going (partly because of fear to reintroduce anything, but also because I just wanted to feel good!) I went up until Christmas Eve following the Whole30 diet, and maybe it’s just mental or I picked a bad time (hectic with holidays) to go off course (ever so slightly – we’re talking a gluten free sandwich, French fries and a small slice of a squash spice cake!!) but this whole week I’ve felt yuck! So…I started today going back to what it was. I know they say this is not a lifetime diet, but quite frankly it will be for me! Good luck – it really isn’t hard at all!! Thank you so much for leaving a comment and sharing your experience with the Whole 30. I appreciate it and I am so happy that it worked well for you! Day one for me is going pretty good. I can’t wait to see how I feel after 30 days.